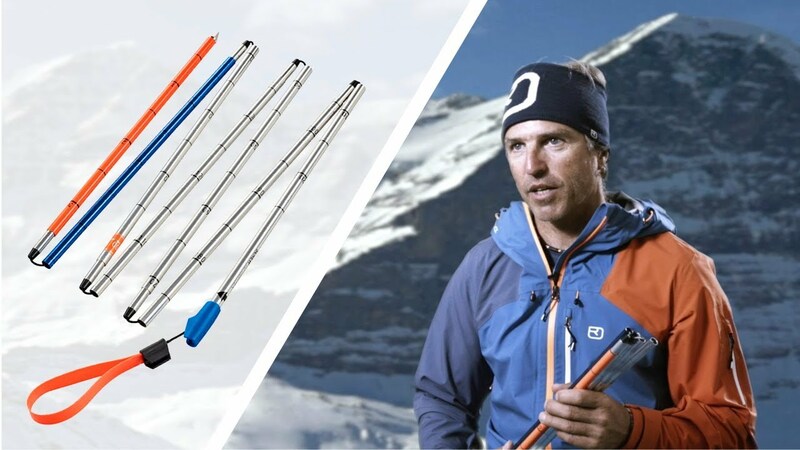 Lightweight, fast and safe: The ALU 240 LIGHT is the probe for all weight-conscious winter sports enthusiasts. Weighing in at just 235 grams, it is incredibly light and ready to use in just seconds thanks to the quick-assembly strap and quick-lock assembly system. The tension can be quickly and easily set by means of the optimized adjusting screw. The large probe tip, which has a significantly larger diameter compared to the probe elements, ensures improved penetration. We have also optimized the probe segments so that they now have a more compact pack size. The ALU 240 Light therefore fits easily into your tour backpack. As with all our probes, this 240cm-long model features a visual guide system with depth markers, a clear 1-meter marker and a practical quick-release cover. The intuitive visual guide system provides you with quick and clear information about the victim‘s depth at all times. You can perfectly ADAPT YOUR SHOVELING STRATEGY and save important time thanks to the clear 1m marker, CONTRASTINGDEPTH SCALE and COLORFUL END SEGMENTS. The bottommost segment in neon orange indicates when you are approaching the victim.